We are happy to announce the new and improved Billia 3.6! 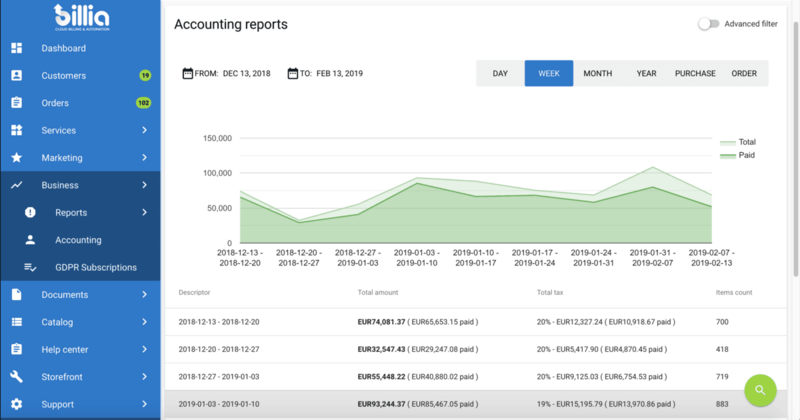 Now with a new Cloud Engine with OnApp integration, improved Financial Document System, new Affiliate System, and many more new features and functionalities to make the Business run better. 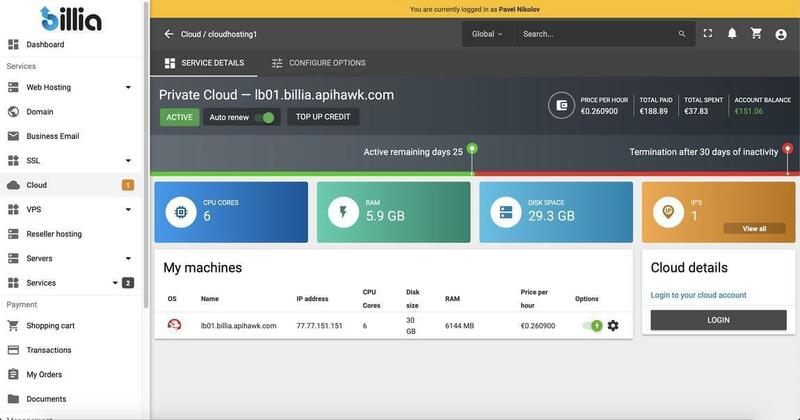 This is Billia, the Next Generation Billing & Automation Software by ApiHawk Ltd. Improved error messaging for better UX. Flexible OnApp integration and more. 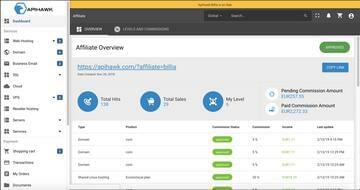 A new Affiliate system has been introduced. It provides users with the opportunity to promote the business’s products and services in return for rewards in the form of virtual money for their Billia Wallet. The system is set to have levels per specific products/services or in general. The more the user promotes, the higher the chance for them to earn a higher level reward. The Billia Document Manager is now upgraded to v.2! New and improved, it is now easier to create document templates by using MJML, style them with specific appearances, and manage them in the Archive. The entire Financial Document System is now made more easily manageable. 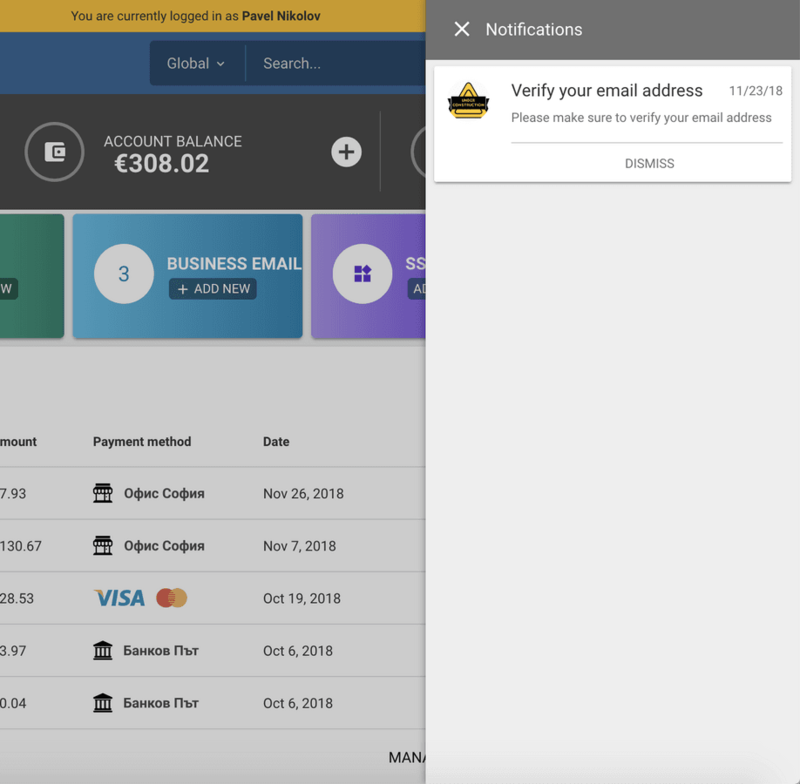 Both in Management Panel and Customer Portal, financial files such as invoices, proformas, debit and credit notes, are supported as multi-language templates. All files use the auto increment function and are generated with logical sequential numeric values. Financial documents can now be manually generated through the order itself, which allows an Administrator to modify the price of that order. Moreover, the Billia engine now uses the MOSS scheme which allows to account for VAT in just one EU country. Very big news! Meet Billia’s new Business Intelligence, configuration with Grafana! We are extremely happy to introduce one of the newest additions in Billia, a Business Intelligence configuration with Grafana! Billia’s new BI with Grafana will provide graphic visualizations of the business’s financial statistic for any time period chosen. It also includes snapshots for every day of how the business has operated. New availability for users to migrate their products and services to other user accounts. The action is done from the Customer Portal. All types of products and services can be migrated which includes domains, hosting services, Clouds, VPS systems, etc. A new Communication page for Customers has been introduced in both the Management Panel and Customer Portal. It includes all automated tasks that Workers performed regarding that specific user. This involves automatic emails, purchases, payments, etc. 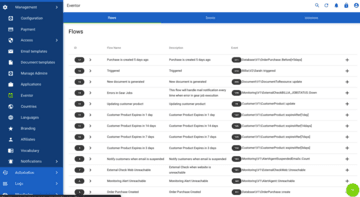 The list can be sorted per Worker and their tasks are show with the respective status indicating how that process went. Automatic Product Upgrades are now available in the system. 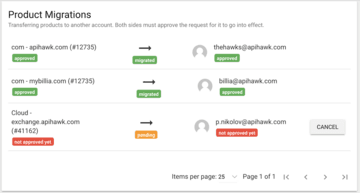 ApiHawk AppCell can now automatically configure and provision requests for product and service upgrades. Once an available product upgrade is set in the Billia Management Panel, a customer can then choose to level up their product or service. The action will no longer need to be carried out by technicians, support agents, or developers. This is a new automated action for ApiHawk AppCell’s portfolio that will be completed in no time. Catalog Products can now be easily set up with Product Suggestions to be offered to customers at the point of purchase. 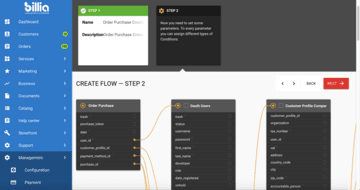 The suggestions can have a specific visualization and location in the system, and can be shown not only when a customer is purchasing a new product or service, but also when they are modifying a current one (e.g. to renew it). Moreover, the new Product Suggestions of Billia are now interconnected with the Relation Discounts. This means that the system can show/hide suggested products based on relational discounts defined in the marketing section of the Management panel. Example: A product that is a part of a relation discount can be set as a suggestion to its respective product association. If any of those two are chosen for purchase, then the system will show the suggestion in the respective location. 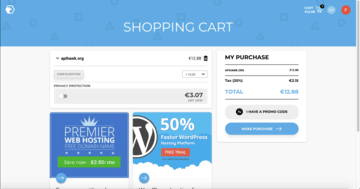 If both products end up in the shopping cart then the system will automatically apply the respective discount. All Product Options and Suggestions can now have their own dedicated location or locations! The new Visibility Manager consists of all possible locations a certain feature can appear. Those are hard coded into the system, and Product Options and Suggestion can have one or more locations assigned to them as easy as just clicking on a checkbox. The engine now has a data functionality to provide default information for email and document templates. Additionally, there is now also a branding feature that can allow you to modify the appearance of your Billia the way you want! Simply choose the page or panel you can modify every little detail. More new features in Billia 3.6! 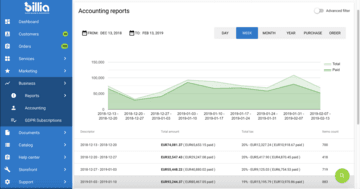 Billia now offers powerful and detailed accounting reports with information on purchases, sales, and revenue for certain time periods, and also graphic representation. The tool can be set with advanced filters in order to sort out information per specific criteria, such as even order statuses and types, affiliates, payment methods, etc. 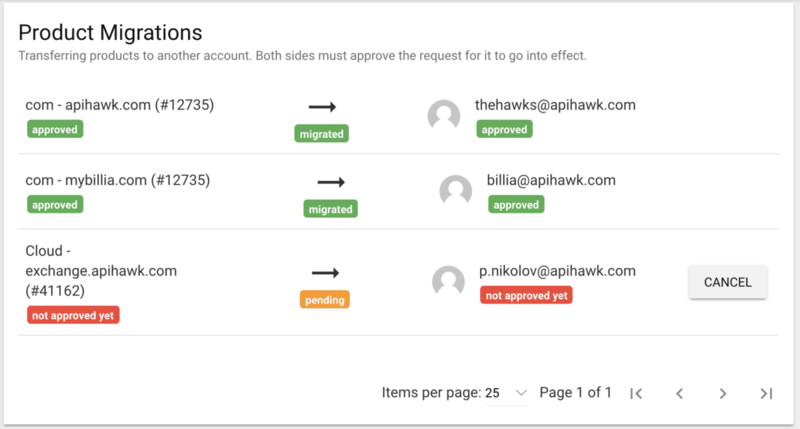 ApiHawk’s Eventor now has a new UX which provides better performance and functionality to the API. Managing the settings and creating automatic flows is now easier and more user friendly. The API is divided into its respective parts of flows, events, and listeners. The system paths between the parameters are also visually represented in their logical relation for the ease of creating successful system flows. A new improved notifications system for customers. 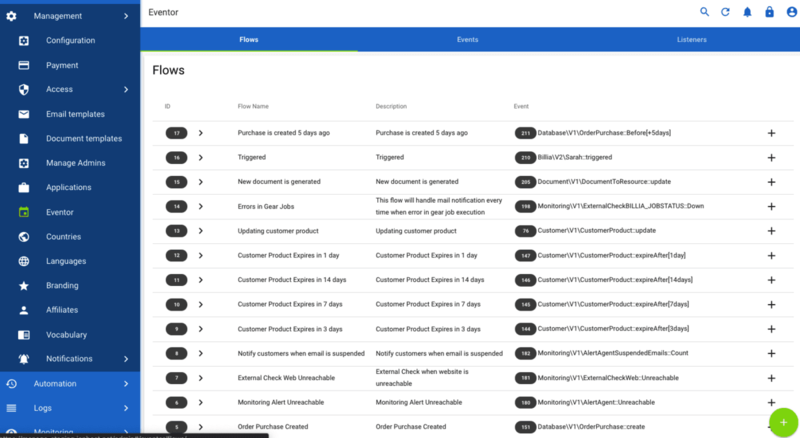 Now, in the Billia Customer Portal and on the user’s contact device, different types of notifications can be set up, those include push notifications, sms, email, etc.